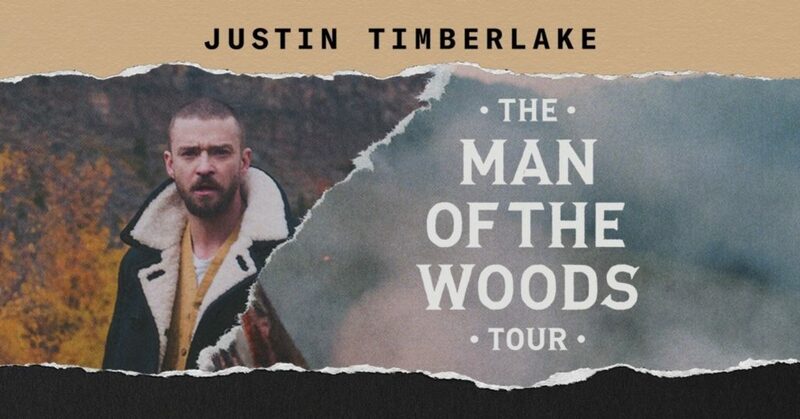 Justin Timberlake Announces "The Man Of The Woods" Tour | Kicks Off March 13th, 2018 - WATCH VIDEO! - TheUrbanMusicScene.com | Concerts & Festivals! UPDATE: 10 Dates Added by Popular Demand! See Below..
Tickets will be on sale to the general public starting Tuesday, January 16 at Ticketmaster.com. Members of The Tennessee Kids Fan Club are also eligible for pre-sale ticket purchases starting Wednesday, January 10th. For complete The Man Of The Woods Tour VIP packages information or to purchase, visit VIP.justintimberlake.com.